Rolls-Royce has announced its fifth straight annual sales rise. With 4063 sales worldwide in 2014, a rise of 12 per cent on 2013, the BMW-owned luxury car manufacturer sold more cars last year than during any other its history, spanning 111 years. According to the company, UK sales were up 13 percent, while Rolls-Royce’s single biggest market, North America, jumped by 30 per cent. European sales rose by 40 per cent, and Middle East numbers went up one fifth – the Middle East, perhaps unsurprisingly, being home to the single most successful Rolls-Royce dealership in the world, in Abu Dhabi. 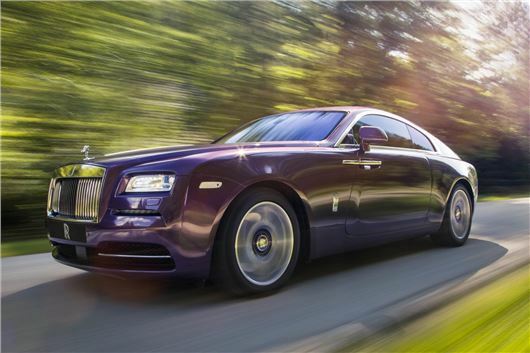 The growth comes largely as a result of Rolls-Royce following the downsizing trend, albeit very relatively; strong sales of the Wraith coupe, in its first full year of sales, and the Ghost, the latest version of which was launched in November, are cited by Rolls-Royce as leading the upward sales trajectory. Rolls-Royce proclaims itself as the world’s leading 'super luxury' brand, defined as those selling cars at more than 200,00 euros, which puts it in an extremely slender category with Ferrari, Lamborghini and Bentley. Growth has been rapid since the Goodwood-based company was brought back to life by BMW at the turn of the millennium. In 2003, the company sold 300 cars and by 2008 that number had quadrupled, though it was in 2010 with the introduction of the Ghost – the so-called 'baby Rolls-Royce' – the sales really started to fly, jumping from 1002 in 2009 to 2711 in 2010. That growth has resulted in Rolls-Royce becoming a poster boy not just for boarding school dorm room walls, but for British industry itself. The company has created 200 permanent new jobs over the last 18 months alone, and will create more when its new Technology and Logistics centre opens in Bognor Regis in 2016. It currently employs 1500 staff.